“He got pegged as being short, 5’2″. But he was actually 5’6″ or 5’7″,” said actor/producer David Ladd, himself a very tall man and one of actor Alan Ladd‘s four offspring to work in the film industry. 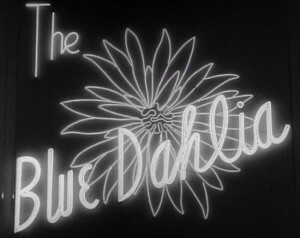 Ladd spoke about his father following the absolutely fantastic screening of “The Blue Dahlia” at the Academy’s summer film noir series curated by Randy Haberkamp. The George Marshall-directed Los Angeles crime whodunit, dating from 1946, has at its gritty core a tough-guy screenplay by crime writer Raymond Chandler. It was Chandler’s only original screenplay, his follow-up to a successful collaboration with Billy Wilder on “Double Indemnity.” There’s urban legend about Chandler finishing the script at home on a bruising, round-the-clock bender, dispatching pages to the studio by courier. Watching “Dahlia’s” close-knit ensemble of character actors hurl Chandler’s hard-boiled lines at each other gives tingling pleasure. The director burns time and space around the words so you can take them in. 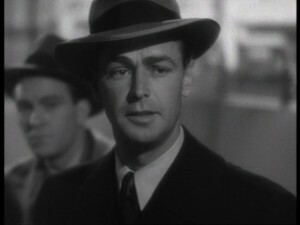 Alan Ladd died young, at age 51. Booze and pills were involved: “He was a tremendous athlete, he was a great diver and swimmer. But he didn’t take care of himself like people do today. He had depression problems. He had a tough time,” said his son David, with compassion. 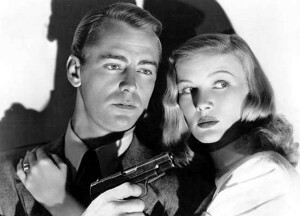 I loved and still love Alan Ladd. He was s great actor, his eyes said it all, so expressive. He was the most handsome man I’ve ever seen, so charismatic. I wish so much he hadn’t gone so soon, it upsets me still. I watch his films over and over. 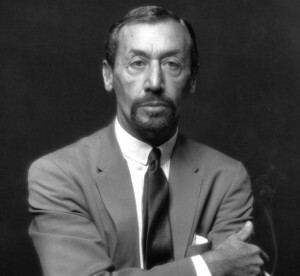 I wish I’d known him, he was also a kind, decent, clever sensitive man. I adore him still. Alan Ladd was and always will be my favorite actor. I don’t care how tall or short he was, he was good to look at.